“Lenders appear to be ramping up the pace of completing those forestalled foreclosures even while the inflow of delinquencies into the foreclosure process has slowed,” said James Saccacio, RealtyTrac’s chief executive. In May and June banks are seizing more foreclosed homes even as the number of people falling behind on their mortgages is declining. Bank repossessions hit a record monthly high in May, according to RealtyTrac, the online marketer of foreclosed properties. Lenders took back 93,777 properties, up 1% from the previous month’s record and 44% from the same period a year earlier. Meanwhile, foreclosure filings fell by 3% from a month earlier and edged up less than 1% from May 2009. One in every 400 homes received a foreclosure notice last month. Overwhelmed by the mortgage meltdown, lenders have been relatively lax in repossessing homes as they try to cope with the flood of borrower defaults. As the housing market starts to stabilize, however, they are turning their attention to taking back homes. Historically, it can take more than a year to complete a foreclosure, on average, Jack Schakett, credit loss mitigation strategies executive at Bank of America, told reporters last week. In states that require lenders to take delinquent borrowers to court before foreclosure, the process can drag on closer to two years. The worst states Nevada, Arizona and Florida once again top the state foreclosure rates in May, though the pace is moderating. One in every 79 homes in Nevada received a foreclosure filing last month, down nearly 12% from April and 16% from a year ago. The state’s foreclosure rate is five times the national average. Arizona, meanwhile, saw its foreclosure activity increase by less than 1% in May from the prior month and drop 5% from May 2009. One in every 169 properties received a foreclosure notice in May. In Florida, one in every 174 properties got a foreclosure filing in May, up 4.76% from a month ago but down nearly 14% from a year ago. This is clear signal that NOW is the time to get involved in real estate purchase to your investment portfolio. Interested ? Get in touch with Florida’s “movers and shakers” – Totally Rehabbed Homes either as an investor or a buyer. Great deals like this are a once in a lifetime opportunity. Get busy today. America’s Largest Mall – Lions, Tigers and Bears ! Realty Check - Realty Check with Diana Olick brings the market, the rescue plans, the politics and the pontification home to you, with clear concise explanations of the issues in all facets of real estate. White Collar Rentals - Fully furnished corporate rentals/sublets. 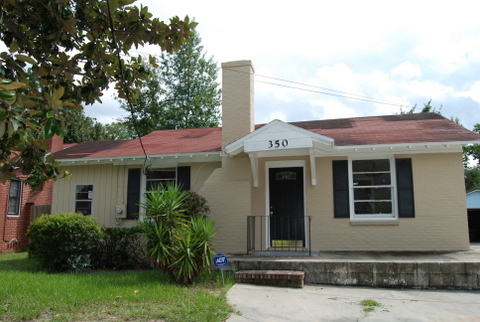 This web site is dedicated to providing valuable information related to the Jacksonville, Florida real estate market and the real esate industry as it impacts the buying, selling, and renting of homes and condos.